Yes, in case you missed last week’s announcement or were still unsure by the title, I’m pregnant with baby #2 and trying to keep up my running. We’ll see how it goes, but if anything, I’ll be sharing the journey again here! The week started off STRONG! I got in my longest and fastest (in a while) run on Sunday with B and FW. It was SO great being outside with the 2 of them, while B pushed FW in the stroller. We had plans to do 3-4 miles, and then when we got to 4, I told B that I hadn’t run 5 miles in a long time, so he suggested we just keep going. So we did. We ran around some local lakes and then found another path that I’d never been to before and ran through there. Miles 1-1.5 were okay, miles 1.5-3 were rough but I got a second wind a little after mile 3 and felt good enough to finish strong. The rest of the week was just so-so in terms of running. Pregnant running his time around has been much harder, not sure if it’s because I’m so tired with FW or because this winter has been so cold and snowy, or a combination of the both. The rest of the week I mostly walked/ran on the treadmill. I’m hoping to get outside again though soon. 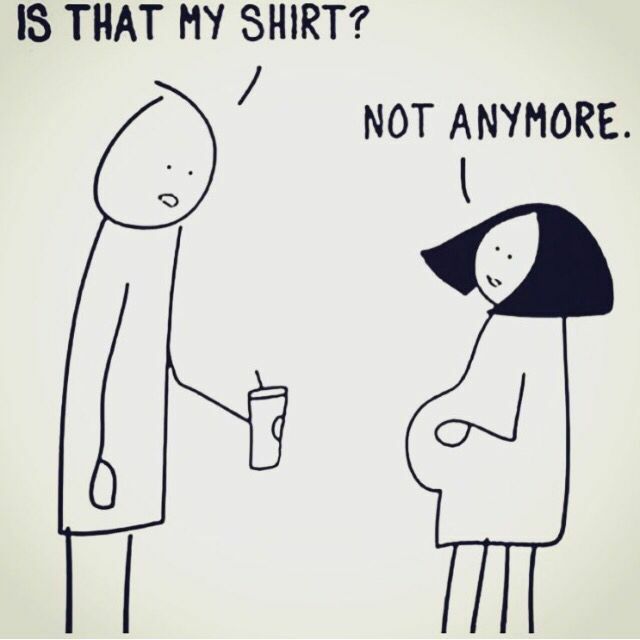 I definitely need to raid B’s drawer for some workout tops! Are you running any races this spring? Do you like running on your birthday? I got in TWO runs outside! Monday morning it was drizzly but semi-warm and for the first time the snow and ice we had gotten the past few weeks had melted and I felt safe running outside. And because it was warm (40s-50s), running in the rain felt pretty amazing. And Tuesday – my birthday – I got in another run outside! It made the best birthday gift to be outside, wearing capris, and running 4+ miles. The rest of the week I stayed inside, but stuck to the treadmill in the mornings and still got in a few miles. Which is important – I’m trying to build a good base this winter so when it gets warm again, I’ll be back outside and running more again! 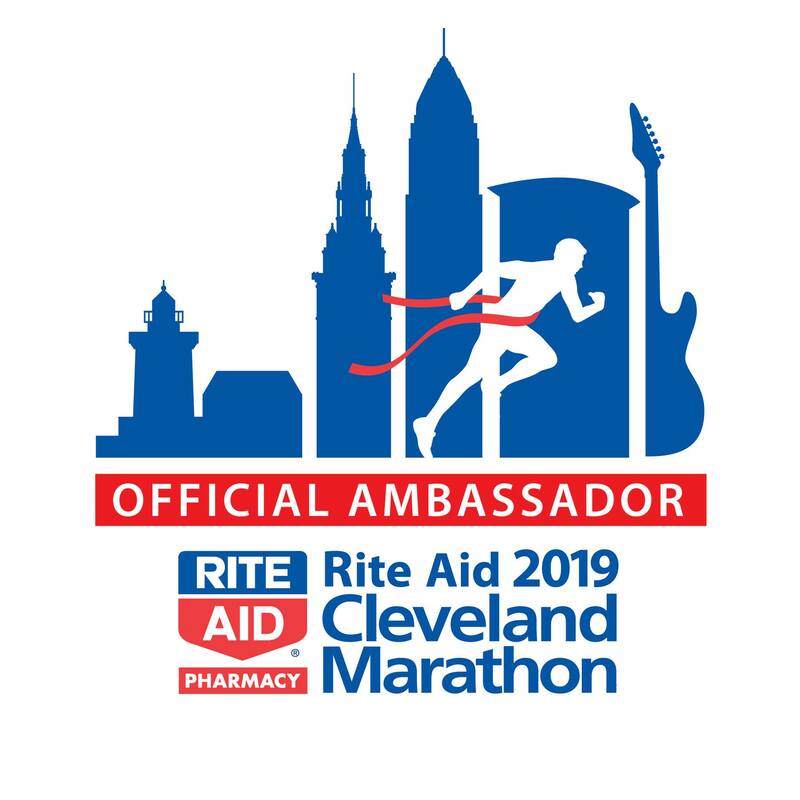 Speaking of being outside – here’s a friendly reminder, if you’re planning on running the Cleveland Marathon or any of the events this may (half marathon, 5k, 8k 10, 1 mile (new!) or kids run, use the code MCCLE10 for 10% off your entry fee. I’m an ambassador for the race, so I get to have fun discounts AND I’ll have a giveaway coming up! Happy Birthday to ME! That’s right, my birthday was this week and B, FW and I had fun celebrating this weekend and enjoying some great weather, going for runs, spending time with friends, and more. I also had some TREATS on Monday to celebrate my BIG DAY – so that’s what today’s What I Ate Wednesday is from! The day started with going out to breakfast with B and FW! We went to Yours Truly (I know, I went there last week!) and this time I got the Eggs Bruschetta. They were so good! Two sunny side up eggs on top of spinach, tomato, parmesan and toast! Snacks during the day (in no certain order) included some energy bites! And an apple. Yup. I was snacky. And for my birthday dinner I chose sushi! It was so good – I got veggie roll, a rainbow roll and mackerel sashimi. And B and I shared this seaweed salad! Oh and some treats, of course! I made cookies and enjoyed these soft M&M cookies and some new Hershey’s Kisses. Do you like bubbly? I used to not be able to drink it but love it now! What’s your go-to sushi order?